“Today is an historic day. We have finally passed substantive legislation to protect the victims of domestic violence, and it goes to Governor Wolf for his signature. HB 2060 will save lives, and I’m proud to have supported it. The bill will take firearms out of the hands of most abusers within 24 hours of a final PFA being issued. In a commemorative ceremony on Monday morning, I read the names of people who lost their lives in 2017 to domestic violence. 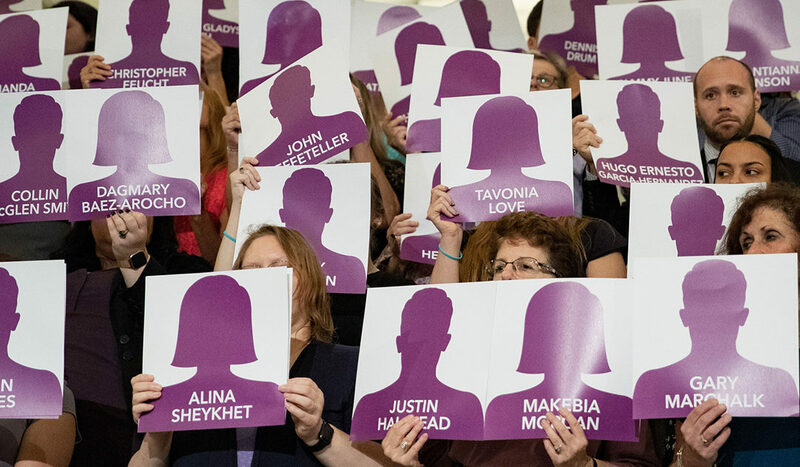 There were 117 total casualties in our state last year to domestic violence, and there are 1 million American women who have been shot or shot at by their intimate partners. A firearm is often the weapon of choice for domestic abusers when their violence reaches lethal levels.